I don’t know what is wrong with me. I cannot, for the life of me, leave a recipe alone…I always have to tweak it and try to make it even better. 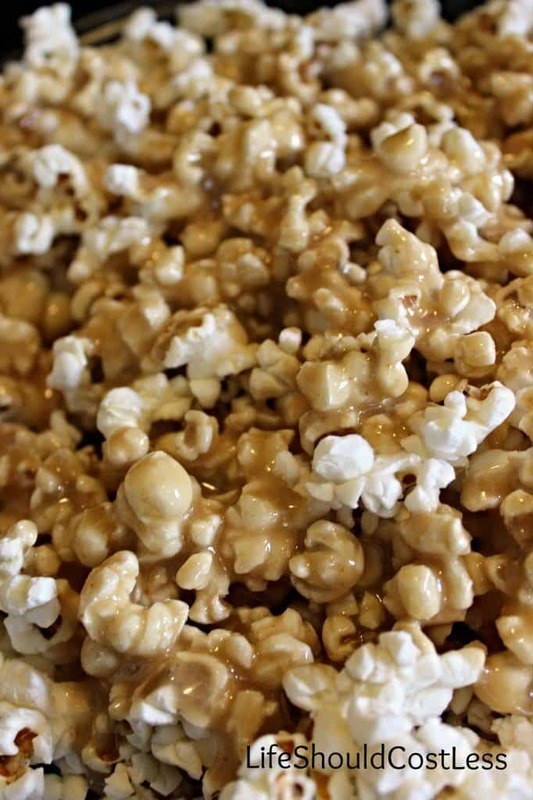 That was the case with this yummy Caramel Popcorn recipe that my sister found in one of my mom’s ward cookbooks (I don’t recall the source, but I’ve changed it enough that it shouldn’t be an issue. Plus, it’s a pretty standard recipe). Don’t get me wrong, it was really good to begin with. I just decided that I wanted to see if a browned butter, less sodium, more vanilla version of it would be even better and it is…DIVINE! 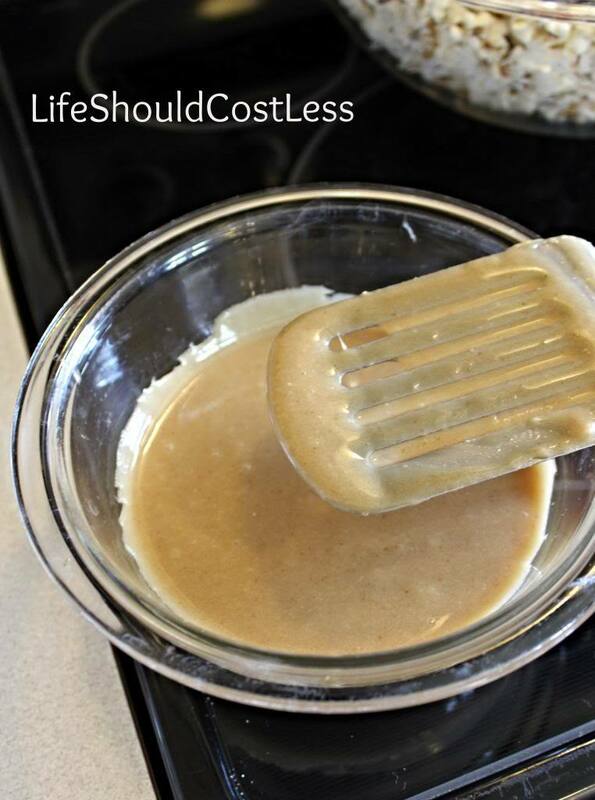 Anyway, if you aren’t familiar with browned butter, you have been missing out! It brings a whole new, somewhat nutty, depth of flavor to your cooking. 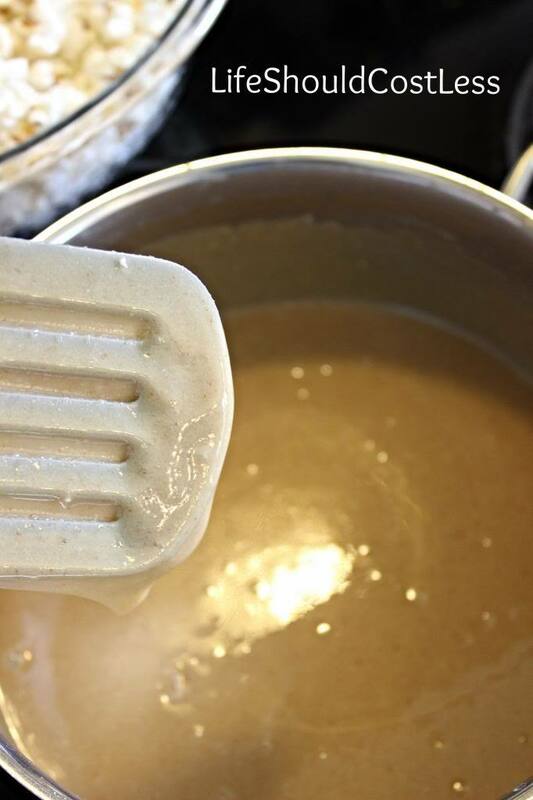 What better recipe to try browning your butter on than one for some awesome caramel? Give it a shot and you won’t be disappointed. 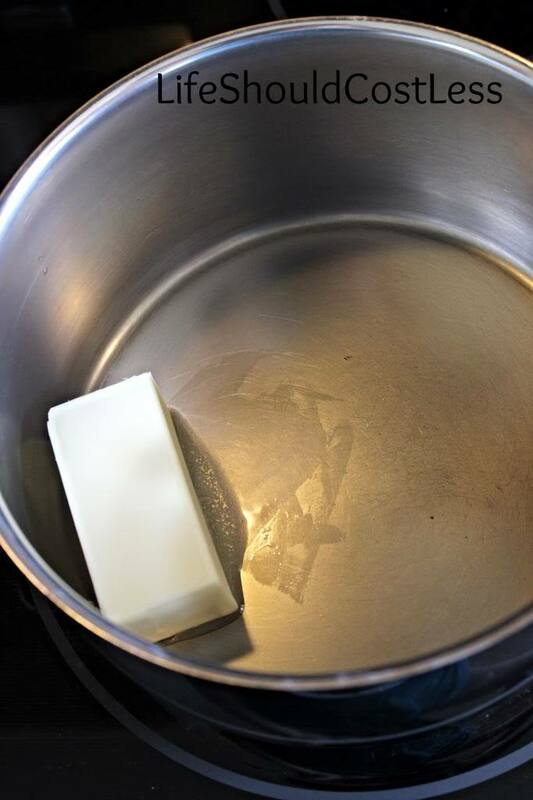 For those of you that need it, I’ve included a little photo-tutorial for browning butter in the instruction portion of the recipe. The very first thing you need to do is pop your corn and have it ready sitting in a large bowl. Try to toss any of the kernels that didn’t pop…it could save you some dental work later on. I just use the largest bowl that I have, which is a large glass Pyrex bowl and I fill it up to the top with popcorn. Once that’s ready you can start on the next step. Mix Well. Pour over your prepared popcorn and mix the popcorn well. I usually pour a bit of Caramel in to a separate bowl so that we can dip apple slices into it…which is also super yummy! If you’re thinking about using this for Carameled Apples, I haven’t tried it yet, but I would let it cook just a little bit longer. Enjoy and try not to eat the whole thing! 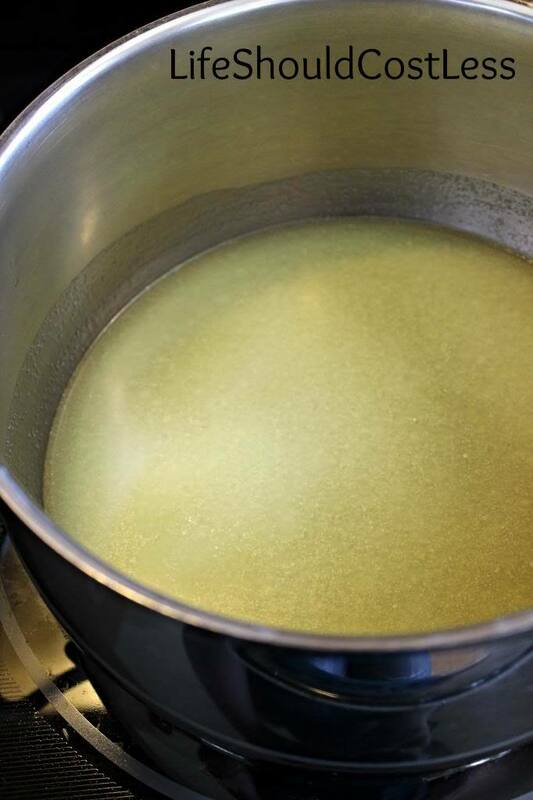 Browning butter is pretty simple, it just takes a little bit of time. 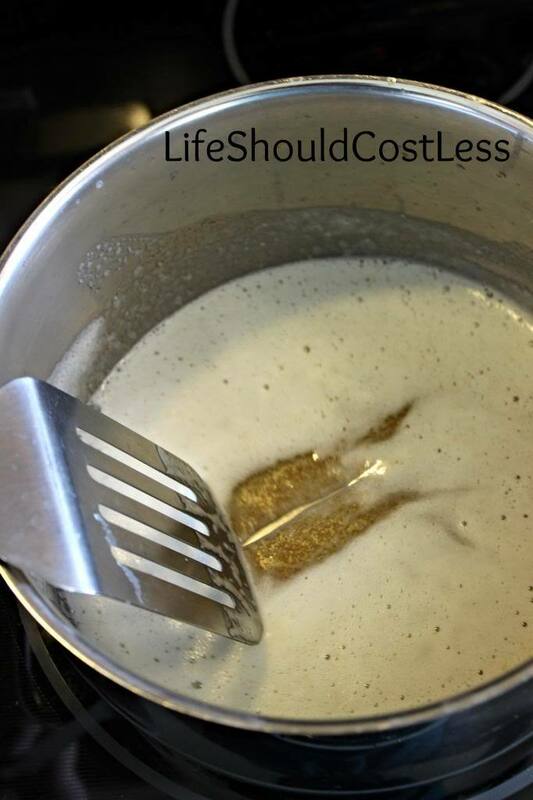 First you just put the butter directly into your pot that is on low to medium heat. Then it’ll start looking a little bubbly. Then, sometimes several minutes later, it’ll look a little bit brown on the bottom and you’ll need to scrape the bottom a little bit. That is it! You’ve got browned butter! New skill acquired, achievement unlocked…can you tell I’m married to a gamer? Next I added the Brown Sugar, Karo, and Sweetened Condensed Milk and stirred well. I kept gradually stirring it so that it didn’t scorch the bottom. 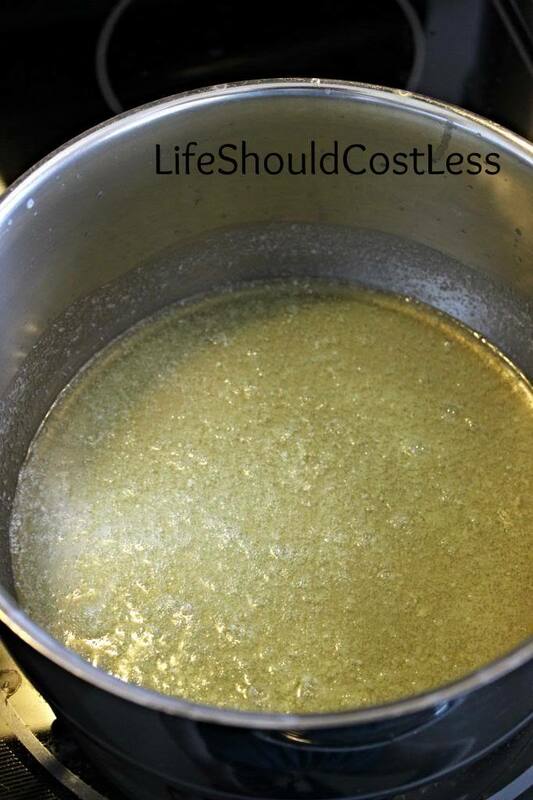 This part takes some time but make sure that you keep stirring or it will scorch the bottom and ruin the whole batch. This is the point where I removed it from the heat and added the Vanilla Extract (and mixed it well). I wasn’t able to get a shot of me pouring it on to the, previously prepared, popcorn because I don’t have a third hand and the hubs wasn’t home. Sorry. Though it’s pretty straight forward to pour it on and mix. 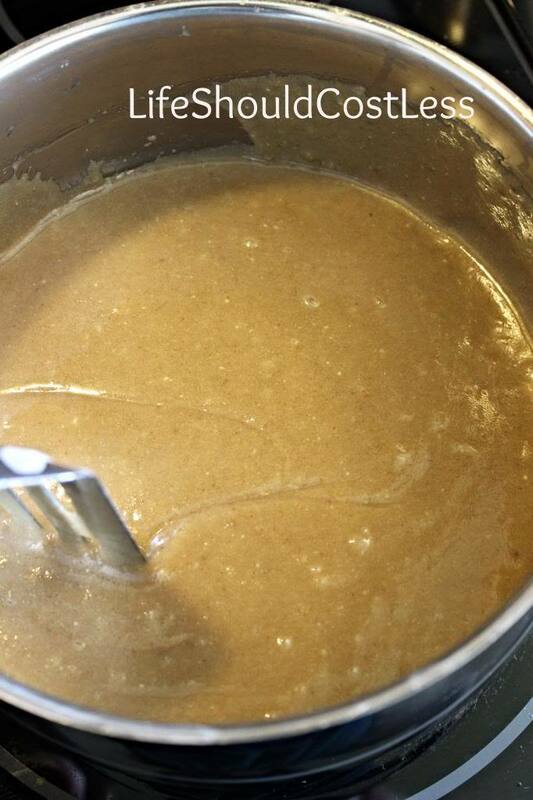 This photo shows the bit that I poured into an empty bowl for us to use for dipping apple slices. Here it is the final shot again! So delicious! I bet it would even taste better if you added some peanuts. In case you haven’t seen it yet, make sure to check out another of my popcorn posts, Jolly Rancher Flavored Popcorn Balls I’m addicted to popcorn…in case you haven’t noticed. If you are too, you may want to start following my “Popcorn Popping on the Apricot Tree” board on Pinterest.